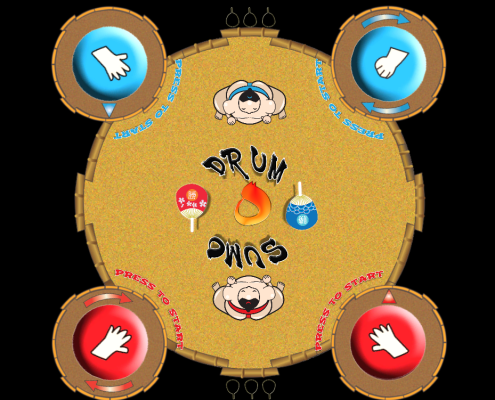 Sum-O-Drums is an sumo wrestling themed, arcade style cooperative-competitive fighting game. 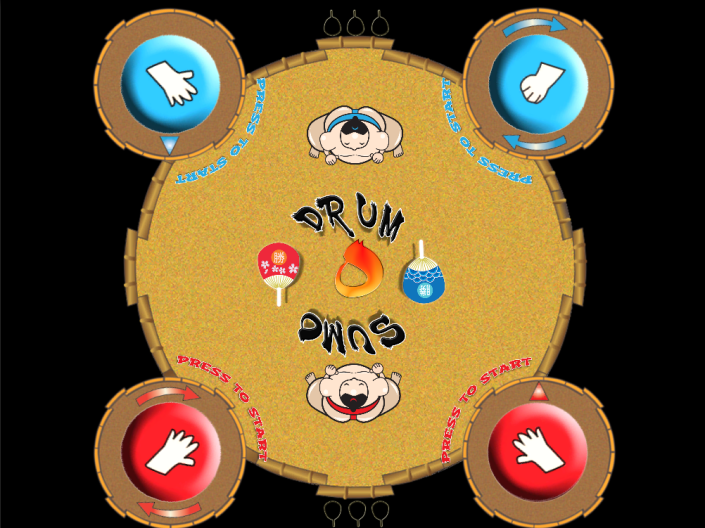 Players are split into 2 teams of 2, with 1 player controlling the rotation of the sumo wrestler and an arm while the other player controls the movement and the other arm. This game was created for the Jam-O-Drum platform during Round 3 of Building Virtual Worlds (Lightning Round) at the Entertainment Technology Center. The entire game was created in 1 week. Sumo Drum was on display in the BVW Festival 2013! Full Moon What Killed the Butler?